Thursday, Jan. 31 and Friday, Feb. 1, the Music Department will host the Idaho Music Educator’s Association conference, transforming music majors into volunteers. Because of the conference, all classes in the Eliza R. Snow building have been cancelled to better accommodate conference goers. High school musicians and educators alike will flood the halls of the Snow building. According to idahomusiced.org, during the day, conference goers can attend forums and lessons varying from ordinary (vocal warm-ups) to extraordinary (fun folk dances — for all ages). Each night the Snow, Manwaring Center, or Oscar A. Kirkham buildings host multiple concerts for various groups, including, on Thursday night at 7:30 p.m., BYU-Idaho’s best — Collegiate Singers, Vocal Union, Symphony Orchestra and Band, the combined choirs and more (including some choice faculty performances). 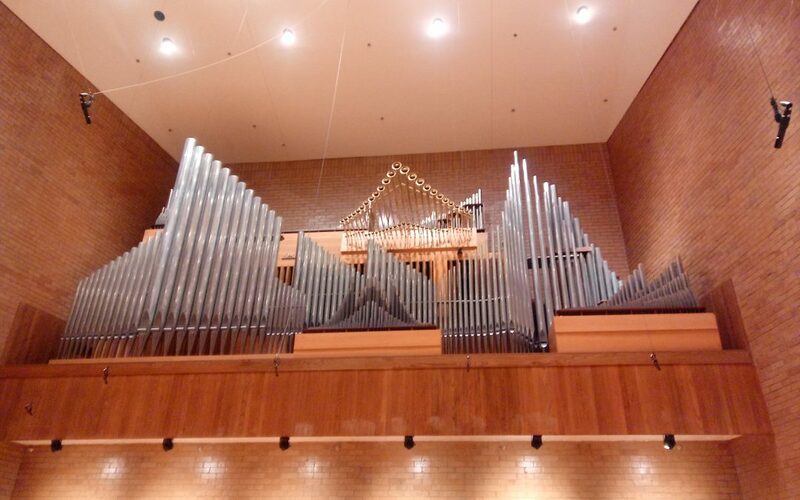 The concert will take place in the BYU-Idaho Center free of admission. To live stream the event, visit BYUI Music Live Streaming. Live streaming will be available 15 to 30 minutes before the concert starts. Meanwhile, the Idaho All-State band, orchestra and choir will practice and prepare for the culmination of the conference: their concert. At 2:30 p.m. on Saturday in the Madison High School auditorium, the high school musicians will become the crowning glory of this year’s IMEA conference.